The full power of FastBooking Engine Lux unveiled! The Booking Experience has been fully reviewed and optimised with the addition of new features to merchandise hotel offering further and the launch of brand new booking pages. FastBooking, one of the world’s leading online solutions providers for the hospitality industry, announces exciting enhancements to FastBooking Engine Lux, the industry’s highest conversion online hotel booking engine. “We are constantly innovating and improving FastBooking Engine Lux. With the latest additions detailed below we are happy to present the market’s most advanced online Hotel Booking Engine including superior merchandising and best in class user experience throughout the booking process.” says Damien Balbo, FastBooking Products & Services Director. 32 languages and 62 currencies for users to select from when making their reservations. Advanced reporting tools to keep track of the hotel’s Key Performance Indicators. The Booking Front End of FastBooking Engine Lux has been further fine-tuned to offer premium performances to hoteliers. Flexible offer displays, a worldwide exclusive to FastBooking Engine Lux, let users toggle between ‘Display by’ based on price or room type. 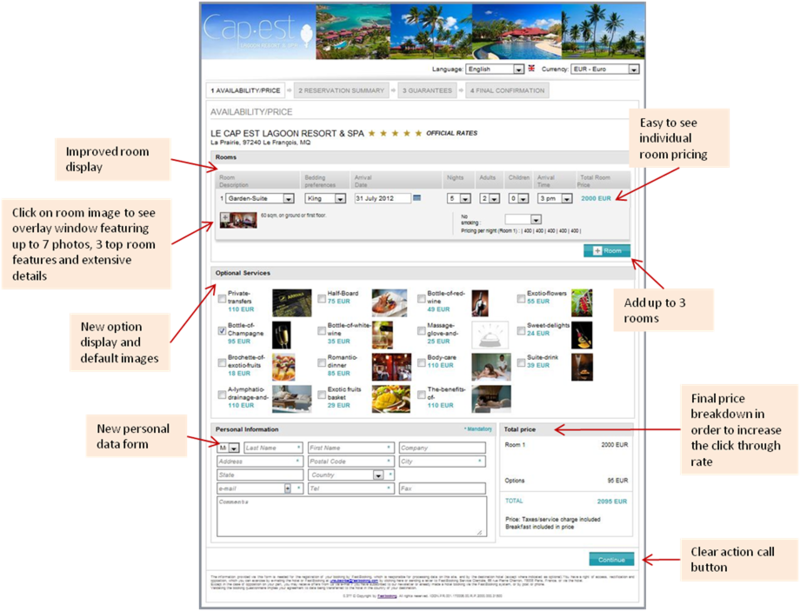 This improves purchasing decisions without changing the existing booking flow to maintain high conversion rates. A redesigned Hotel Details section including hotel amenities, an interactive location map, and photos; rate and room descriptions highlighting key points means faster decision making for website visitors and increased conversion for hoteliers. “The new features enhance the customer’s online booking experience and offer new options to better fit the hotelier’s needs,” says Laurent Leca, FastBooking Products Deputy Director in charge of FastBooking Engine. New Total Price Breakdown positioning to improve page logic and optimize user flow. The contemporary, clean design gives FastBooking Engine Lux a modern look and feel. 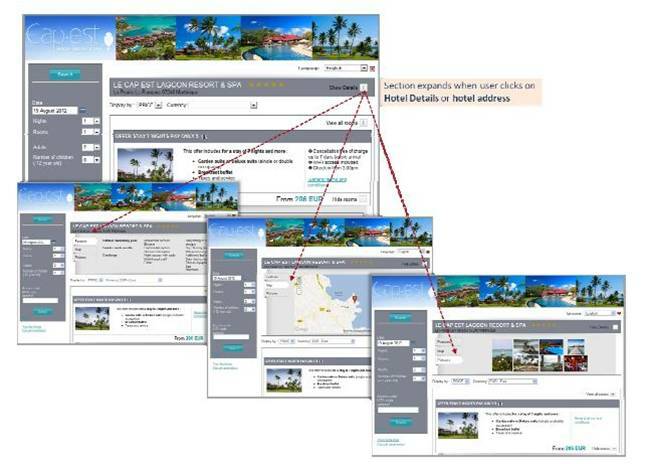 The interface offers tremendous branding flexibility, a feature particularly attractive for luxury hotels for which the visual aspects of the Booking Front End must be in strict alignment with the hotel’s image. Information is attractive, easy to understand and easy to navigate. FastBooking Engine Lux provides the ultimate online booking tool leveraging a comprehensive and intuitive User Experience in order to maximizing end user understanding, appropriation and conversion.